The AquaDoc UV is a complete water purification device using activated carbon, pre-filtration and UV disinfection. It is the most reliable and easy to use system for family homes, offices, restaurants, hotels and guest houses. The AquaDoc UV is a once-in-a-lifetime investment. Only the highest quality materials and components are used, and it is built to last. The system is designed to be easy to use and maintain, and to be completely safe. It can be installed anywhere piped water and electrical power are available. The device can produce water at up to 6 litres per minute and functions well even with low tap pressure. 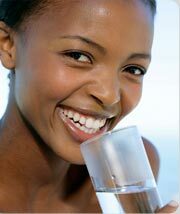 UV light is safe and effective; it does not add any chemicals to the water or create harmful by-products. 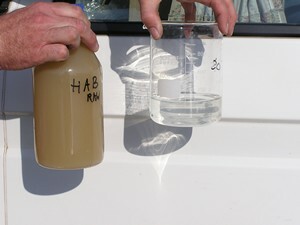 Healthy minerals and electrolytes remain in the water. The AquaDoc UV kills bacteria, viruses and even the chlorine-resistant parasites Giardia and Cryptosporidium. The high-quality carbon block pre-filter improves the taste and odour of your water and even removes various dangerous chemicals that sometimes occur in contaminated water. Order the AquaDocTM UV now! The complete system provides you with the peace of mind that your drinking water is safe and of good quality. 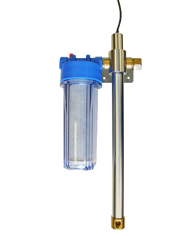 Single-end UV lamp with integrated quartz sleeve provides maximum performance and simple maintenance. The patented lamp locking mechanism prevents you from being exposed to UV radiation. Fully electronic lamp ballast maximizes lamp life and is very energy-efficient. Double-sided inlet connections allow for easy installation. Outlet connection at front allows for direct tap connection. Ultraviolet (UV) disinfection works by passing high-intensity UV radiation through water. 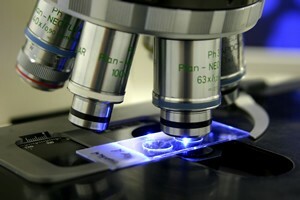 UV radiation destroys microbes by inactivating their genetic materials (RNA or DNA).